Grand Targhee Resort has become a cool mountain destination resort for mountain bikers. This is the time of year when the wildflowers are in full bloom and waist high in many places along the single-track. This year’s race was the largest turn out for Grand Targhee Resort with close to 400 athletes. The morning started at 7:00am for the 100 mile racers and progressed with a staggered start for 100km and 50km racers. The 100 mile race included NUE Epic Series points; the 100k was included in the NUE Marathon Race Series. 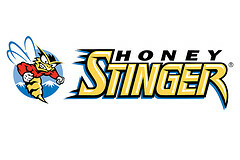 “This event continues to grow year after year. It is exciting to see the same racers, as well as new racers. 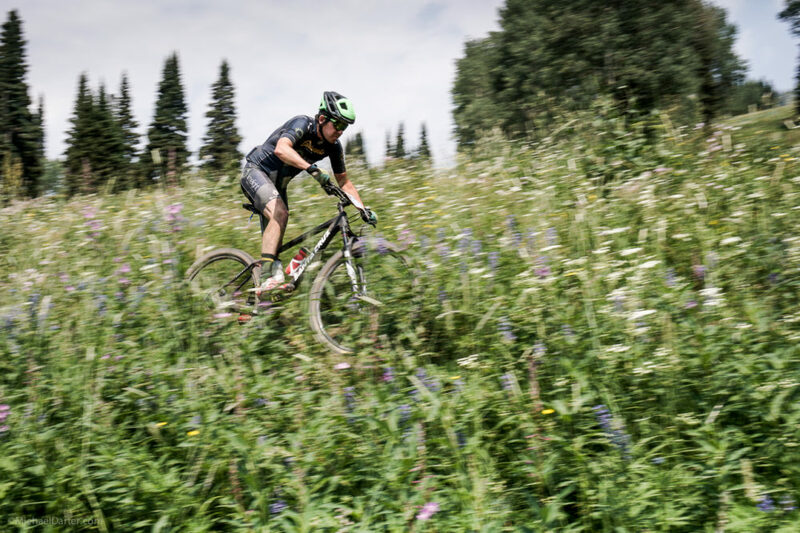 The resort continues to add miles of single-track trails, which makes for a slightly different course each year.” Andy Williams, events manager for Grand Targhee Resort. Many racers recalled 2016 when world road champion Peter Sagan, who had recently won the green sprinters jersey in the Tour de France, made an unexpected appearance, winning the 50k race and, to the delight of many, sticking around for photos and autographs following the awards presentation. Carrington with a commanding win! Liz Carrington, Honey Stinger/Bontrager, demonstrated her strength from start to finish winning the Pierre’s Hole 100 at 10:32:10. Thirty-Seven minutes later, Julie Kelly, Specialized Canada/Infinit Nutrition Canada, was second at 11:09:19. “My race started off well with good pacing on the first loop. When I came through the start/finish for the second loop, a bunch of people were calling out that I was second and only a few minutes off first. I tried not to get too focused on that as it was still early in the race. I saw Liz soon into the loop but she was setting a pretty fast pace and I lost sight of her. I just tried to race my race and set a reasonable pace remembering the third loop last year really hurt! I finished off the second loop still feeling pretty good. The third loop still hurt but I managed to push the pace a little bit on the back end of the course to make the cut off for the buckle and take second. I am not sure I will make it to any more of the NUE races this year but hope to get out to a few more next year. Niki Milleson, Fitzgeralds bicycles, was third at 12:18:40. Bishop gets second straight Peirre’s Hole 100 victory! Jeremiah Bishop, Team Topeak Ergon, crushed it this year to finish 7:57:33, just under three minutes faster than last year’s blistering 8:00:22. Bishop, the 2011 and 2013 NUE Race Series Men’s Open Champion, is coming off his first big NUE win at the Mohican MTB100 in Ohio in June in pursuit of the 2017 NUE title. More recently, he also became the first American to podium at the Trans-Alps where his team finished third. 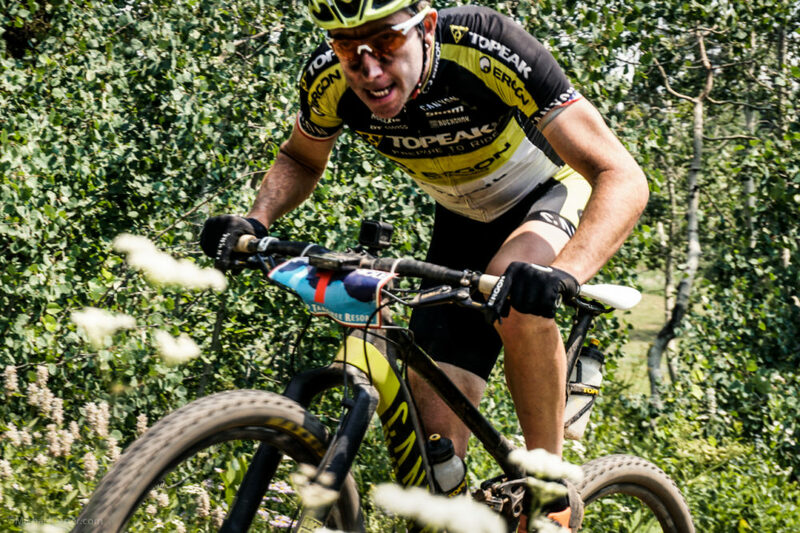 Seven minutes later, team mate Bryan Dillon, Team Topeak/Ergon, took second at 8:04:16. Nineteen minutes later, David Krimstock, Giant Co Factory off Road, was in for third place at 8:23:21. “Being the third hundred mile race in a row, I wasn’t sure how my body would respond but the race was, unfortunately, somewhat defined by flats. I had a front flat while warming up, and changed to a spare wheel, which happened to be dry on sealant. During the first lap, I felt good and eventually moved my way through the front until I was riding with Bryan Dylan and Jeremiah Bishop. I rode with them for a bit and then passed them to try to get a gap before I went into the aid station to change to a wheel which had sealant. During the second lap, I was staying between 1:30 and 3 minutes behind the leaders. Right after aid 2, as I was starting to reel them in and was feeling good, I slashed my rear sidewall. I put a tube in and carried on as a teammate, who had dropped from the race due to a torn tendon in his elbow, went off to grab my rear spare wheel. Sweetser had come into view and I was trying to put some time into him before I changed wheels again. On the third lap, the heat and a bit of a bad stomach caught up to me, and there were some pretty tough stretches, but I was able to carry on and secure third. Coming off his first big win at the NUE Breck 100 just one week ago, Sam Sweetser, Cole Sport, finished fourth, eleven minutes behind Krimstock, at 8:34:57. Six minutes later, Jon Rose, 4Life / MadDog Cycles, was fifth at 8:40:59. Smith gets his second straight SS victory at Targhee! Two-time Men’s Open winner of the Pierre’s Hole 100, 2013 and 2014, Cary Smith, The Hub Bikes, a local favorite from nearby Jackson, WY, demolished the field by over an hour to finish 8:52:48. Ian Noak was next placing second at 9:58:36. “I raced in the SS category, running a 32×20. Being from Boise, I am pretty used to getting a lot of elevation gain over shorter distances, so my climbing was my saving grace. However, being from Boise, I don’t get much time on snaking switchback descents, so it didn’t take long heading down 38 special before I lost sight of racers just in front of me, as well as people passing on the way down. Luckily I was able to bridge back up on the climbs. As I try to do in all long races, my plan was to try and keep a steady pace that would hold strong until the end. Lap 1, I was able to do just that. I didn’t get into the chase early, starting in fourth and gaining one position during lap 1. Lap 2 was similar to lap 1. Keep the pedals moving and don’t blow up…….success. I had gained another position during the second lap, now in 2nd. Thirteen minutes later, Hunter Karnedy, Sublette Ravens, came in to take third at 10:11:52. Golet leads The NUE Race Series with win at Pierre’s Hole! Greg Golet, Team Chico/Honey Stinger, coming off a big win at the Breck100 just one week earlier, dug deep to get the W at Pierre’s Hole finishing 9:28:25. Prior to this win, he also won the Pierre’s Hole Masters race in 2015. Coming into the PH100, Golet recorded wins at the NUE season opener, True Grit, with more recent wins this season at both the High Cascades 100 and Breck100. Earning his fourth win gives Golet a perfect score of four points and the lead in NUE Masters point race. 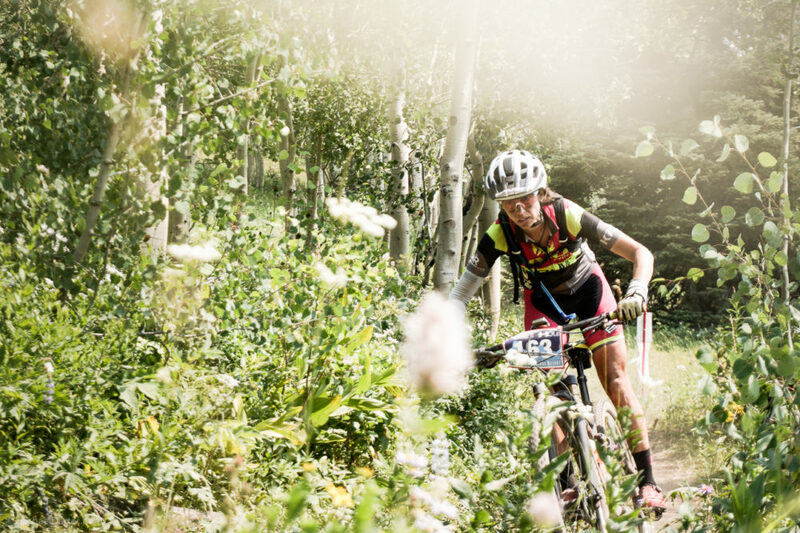 “After a rainy Breck100 I had to bleed my brakes, change the pads, and repack my hub bearings but by race day, a week later, my bike and I were ready to go again. I went out pretty hard on the first lap, and thought I established a pretty good lead, but really wasn’t sure. I was feeling pretty comfortable on the trails but the repetitive accelerating out of the corners on the long decent down 38 Special wasn’t something I was used to and, on lap 2, it caused me to cramp and back off quite a bit, which worried me. And sure enough, not much later, I saw Jeff–pedaling out of the saddle with arms bent, hunched low over the bars–riding like a man on a mission…Yikes! Meanwhile, I’m seated and spinning, just trying to keep some forward momentum. It was a pivotal moment about halfway through the race, and I knew I needed to ramp up my pace if I was going to keep the lead. Riding a rush of adrenaline, I accelerated into the gorgeous aspen grove before me, and tried to ride as fast and cleanly as I could through the winding singletrack. Amazingly, my legs started to feel better and, by the end of the second lap, I was able to gain back a bit of the time I had lost. On lap 3, I didn’t see Jeff when I looked behind me across the open switchback section above tree line. Not long after, I decided I had better stop looking over my shoulder. Doing so felt self-defeating, and anyway, I needed to focus on my own riding. I worked on being smooth and not making mistakes, and stole moments when I could to gaze upon the unbelievable scenery that surrounded me. Just over five minutes later, defending NUE Masters Champion, Jeff Clayton, Georgia Neurosurgical Institute, took second at 9:33:58. In a tight race for the title that mirrors the 2016 season, Clayton has wins at Cohutta, Mohican, and Lumberjack in the Midwest where he has dominated. Clayton remains just one win away from a perfect score which would set up a repeat of the championship showdown, this year, at Big Bear. In 2016, it was Clayton who won the tie breaking race to take the Masters title. After suffering hypothermia and a bruised ego a week before at the Breckenridge 100, I came to Grand Targhee rested and eager to race. I pre-rode much of the course, but not the big climb or descent, choosing to save my legs. Most of the trails were well ridden, and reminded me of a big cross country course…flowing, undulating singletrack. Since the race started with a long dirt road climb, I knew I’d have to be patient and pace myself. It was hard to watch a couple of my master’s category competitions ride away so early, as well as a good chunk of the field, but that’s what I did. Once at the top, the long downhill switchbacks were a blast. I held my own and started passing racers along the national forest trail back to the paved road back to the ski area. Passing by my wife at the camping area, she gave me a gap to the two master’s racers ahead….not too far behind Greg and close to second. I pushed up the pace and by the end of lap two had passed Sten and was within three minutes of Greg. Lap 3 was tough! I had really pushed my limits already, and knew Greg was close. I finally got him in sight about halfway up the long climb….unfortunately, he also saw me! The NUE Race Series heads east to New Hampshire for the Crotched Mountain 100, formerly known as the Hampshire 100, on Saturday, August 19. Visit www.nuemtb.com for more information and stay tuned her for the latest news, photos and results. This entry was posted in News, Ultra Endurance and tagged 2017, grand targhee, national ultra endurance series, NUE, results by Shannon Boffeli. Bookmark the permalink.